In "Money on the Table: How to Increase Profits through Gender-Balanced Leadership", Based on academic research and over two decades of corporate experience, Melissa Greenwell,shares her view that gender-inclusive leadership is more than morals or social values. It's about gaining a competitive and financial advantage. Because of that advantage, Greenwell argues that business leaders need to act fast in order to reap the benefits of investing in a talented and diverse workforce. The need for a gender-balanced form of leadership in the modern workplace has been documented for years. While some progress has been made, there is still a lot of work to be done before the world makes even a dent in the so-called “glass ceiling”. Author Melissa Greenwell wants to know why it’s taking so long. 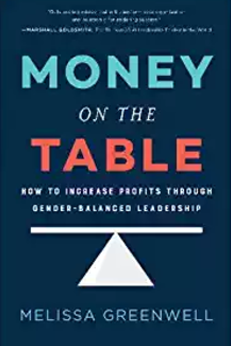 Her book, Money on the Table: How to Increase Profits through Gender-Balanced Leadership explores the delays in creating a more gender-balanced form of leadership and what these delays are doing to a company’s potential bottom line. What is Money on the Table About? While Greenwell has the moral high ground arguing for gender-balanced leadership, in Money on the Table she wants to draw her reader’s attention to the financial and strategic reasons for more gender-inclusive leadership. Greenwell argues strongly that businesses with more gender balance earn more money, hire better talent, and make better decisions over male-dominated ones. In her view, businesses that offer more opportunities for women (especially in leadership) will have a decisive competitive advantage in the future. Money on the Table starts off the “gender equality in the workplace” conversation by pointing out the discrepancy between nice-sounding policies and real action. To understand that a gap still exists, Greenwell cites interviews from both male and female executives. These interviews revealed key differences in how male and female leaders implemented gender equality. Both male and female leaders, however, still hold to the social convention of women taking care of the house in addition to work. This social convention seems held even in businesses more open about gender inclusion. To make things a little clearer, the workplace (especially leadership) is slanted socially, psychologically and financially to maintain the “glass ceiling” despite attempts to change it. Despite this dismal picture, Greenwell is confident we can break the “glass ceiling”. With a willingness to proactively change how we educate, hire and promote women in the workplace, businesses can tap into the positive and profitable cycle that will give them a unique competitive advantage. 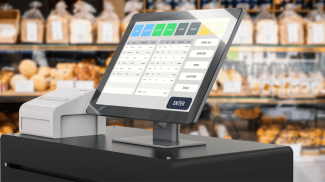 As other businesses take note, our society will move closer to the critical mass it takes to make a more permanent change in workplace practices. At that point, every business will wonder why they took so long to embrace gender equality in the workplace. 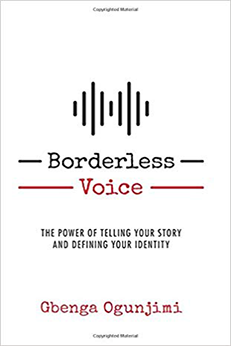 In addition to being an author, Greenwell is the Executive Vice President and Chief Operating Officer at Finish Line, an athletic apparel retail business. In her 30-year corporate history, Greenwell has spent over two decades working at the C-suite level. She is also a certified executive coach and speaker on the topic of gender-balanced leadership. In addition, Greenwell is the director of the Special Olympics Indiana Board and Finish Line Youth Foundation. What Was Best About Money on the Table? In Money on the Table, Greenwell offers probably one of the most authentic voices you will ever hear on gender balance in the workplace. In the book, she is not afraid to confront leaders, male and female, about their roles in advancing gender equality in the business world. She wants real change and provides the research to support her belief that gender balance needs to be addressed aggressively. In summary, Money on the Table is not a dry, academic book that talks about gender balancing policies. It’s a practical guide for policies that Greenwell believes we need immediately. For all its urgency, Money on the Table pushes leaders to act quickly in regards to gender equality without providing a clear overall look at what a comprehensive gender-balanced policy should look. 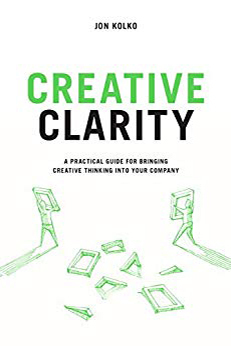 The second part of the book does contain some general recommendations and principles but no checklist or directions are given for leaders who want to start from scratch. In other words, Money on the Table helps explain why workplace equality is important but doesn’t give a comprehensive look at how to get there. Why Read Money on the Table? In Money on the Table, Greenwell places specific emphasis on leaders at the top of the organizational chart because she contends that leaders set the tone for workplace culture. As she describes in the book, the behavior and beliefs of executive leaders have a trickle-down effect on the rest of the business. Organizational culture is not static like furniture. It’s dynamic, something that is reinforced daily through the words and actions of the people in the workplace. Money on the Table offers a more proactive and ambitious guide to the reality of gender equality in business. The book offers a way for leaders to make a financial and strategic case for becoming more active about hiring and retaining more women at all levels of business. We need to see human beings as equals regardless of their gender and status. And it must start in small businesses.